AFTER having the nation booking a seat on their sofa every Sunday for three months, the Dancing With The Stars cast had a booking of their own on Sunday, as they let their hair down at the season's wrap party. The dancers and crew descended on 37 Dawson Street as the lights went out for the final time this season at Ardmore Film Factory. The celebs piled into a coach as they hung up their dancing shoes and were driven to the popular Dublin nightspot, which had been exclusively booked out for the show. Emotions were high as some of the professional dancers were gearing up to head home to their native countries yesterday. 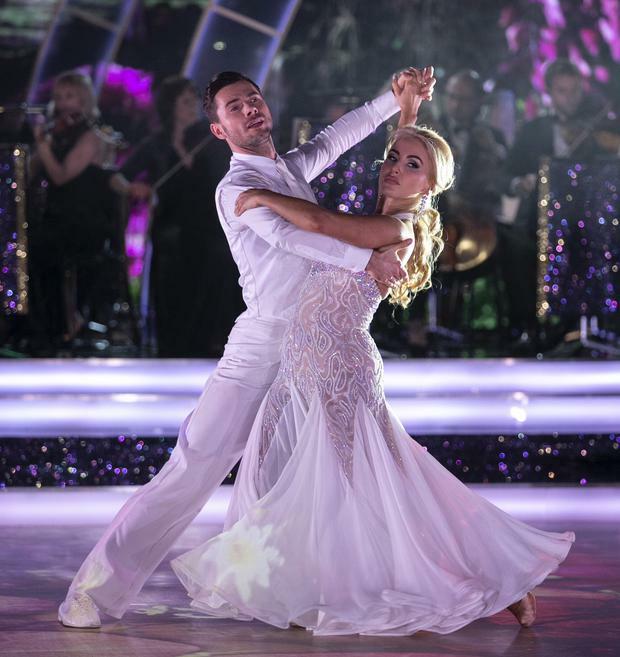 However, it wasn't until the partying wrapped up that the realisation hit John Nolan he had won the show, competing alongside Mairead Ronan in his second final. John had made the final of the show last year too, with comedian Deirdre O'Kane by his side. "I woke up bawling my eyes out this morning," he said on RTE Radio One's Ryan Tubridy Show yesterday. 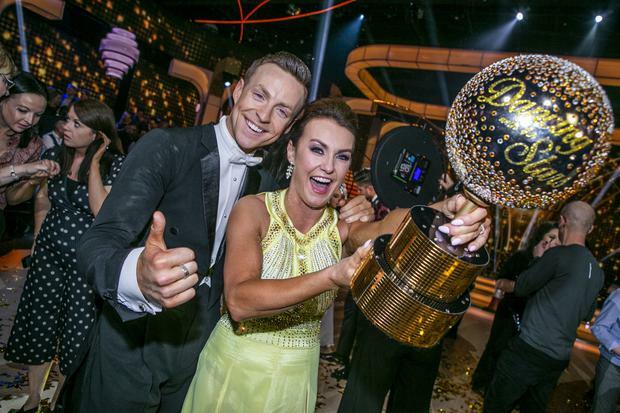 As partner Mairead scooped the Glitterball Trophy, she became the first Dubliner to win the coveted title. She described the party as a "great night" before heading to the hotel next door with husband Louis in the early hours. "We were in the hotel next door, there was only four steps from 37 to 36 as we knew we wouldn't have many hours of sleep," she said. The pair said they were both still in shock as winners. "It is so surreal," added John. He said videos from his students at dance school Xquisite, which he runs with fellow professional Ryan McShane, had reduced him to tears. "Watching back videos of the results and celebrations and videos from the school, I bawled my eyes out for an hour this morning," he said. Meanwhile, Cliona Hagan said she still had not been to sleep since the show finished, partying her way to dawn. "I still haven't been home - don't know how I am sitting here," she said, laughing. However, Johnny Ward finished off his night by rewatching the grand finale. "I went home and watched the show at 4.30am - I watched every dance, and relived the whole thing," he said. Herald columnist Holly Carpenter rejoined her cast-mates at the shindig, having finally had the chance to dance with partner Curtis Pritchard. The ill-fated duo had to part ways when an assault ruled Curtis out of the show when it began in January. Holly was voted off the show with substitute partner Trent Whiddon before Curtis recovered from injury. He has since been taking part in the professionals' group dances on the show. "It is mad when you think about it," Holly told the Herald yesterday. "We rehearsed so much back in December and to think it was March by the time we actually danced together. "Thankfully, his leg has recovered, and he is a lot better." She added that she had made friends for life on the show, saying Johnny and Cliona were now great pals. Renee Zellweger resembles Sharon Stone in Basic Instinct in the first look at her new noir thriller What/If.